Sixers forward Wilson Chandler is being eased into a normal workload after injuring his hamstring before the season. 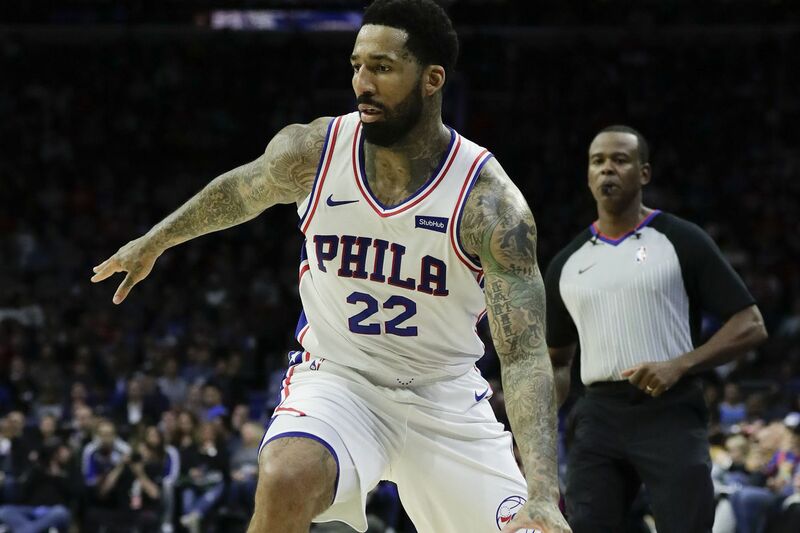 Wilson Chandler remains on a minutes restriction despite being healed from a left hamstring strain he suffered in the 76ers preseason opener against Melbourne United. The injury kept him sidelined the first nine games of the season before he returned on Nov. 3 against the Detroit Pistons, playing just 9 minutes, 30 seconds in his debut with the Sixers. Chandler then sat out the second night of a back-to-back in Brooklyn on Sunday, before playing just over 15 minutes on the road against the Pacers on Wednesday. Prior to Friday's home game against the Charlotte Hornets, Brett Brown said that Chandler would continue to play around 15 minutes per game. "I'm trying to get him to where we can play him in a back-to-back," he said. That opportunity could come as soon as Saturday when the Sixers play the tail end of a back-to-back in Memphis. The next set of consecutive games comes one week later for the Sixers when they play at home against the Utah Jazz then in Charlotte on Nov. 16 and 17 respectively. The restriction on playing time isn't something that bothers Chandler who said he is 100 percent healed from the hamstring injury. "It's just to build up the rhythm and stamina," Chandler said. "I haven't played in a while so the stamina and things like that are a little down but it'll come." Chandler said he doesn't know yet if he'll be playing Saturday in Memphis, but even if he doesn't he is confident that the minute restriction will be lifted soon and that he'll be available for all games. "I think the minute restriction won't be long, a couple weeks or so, it's not long term, I'm not worried about that at all," he said. "They've got a great training staff and analytics staff so they do a great job of researching and planning. "They can do everything from tracking your load and what goes on with your body in practice and they can get insight in to what your risk for injury is. Those guys do a great job with that so I'm grateful that they're on staff."